Learn to take manifestation from a subatomic phenomenon to a life-changing practice. The more you learn about quantum physics, the more you wonder: Who is really creating your reality? Fear not: Dr. Quantum, superhero of spiritual science, is here to help you Meet the Real Creator—You! 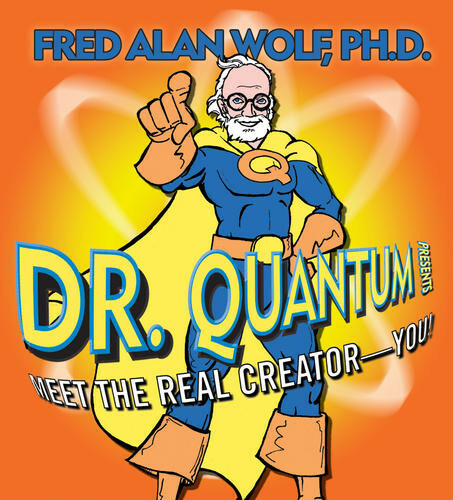 Join this champion of modern thought (sometimes known by his alter ego, Dr. Fred Alan Wolf) on a quest for truth through the strange reality of quantum physics. Your "spiritual elephant"—who is really in control of your life from a quantum perspective? Quantum heaven, quantum hell—if we create our own reality, why do things happen that we don't want? "If I have a soul, why doesn't it do something?" How to open a dialogue between your "self" and "soul"
Whether he's rescuing listeners from confusion about subatomic subtleties or breaking down the barriers between science and spirit, Dr. Wolf sets the standard for bringing quantum physics down to earth—and into our lives.